The right replacement windows can beautify and brighten up your home, as well as give you a greater view of your surrounding landscape. The best part is, you don’t necessarily have to limit yourself to only one window style. At ClearChoice Windows and Doors, Inc, we offer a wide range of windows from Simonton® and Marvin® that will meet your needs. We can even combine them so you and your household can enjoy their benefits. Here are some ideal combinations that will bring in more light, beauty, and a better view for your living room. Picture windows are known for lacking any form of operation as their sole purpose is to bring more light into your home while providing a panoramic view of the outdoors. 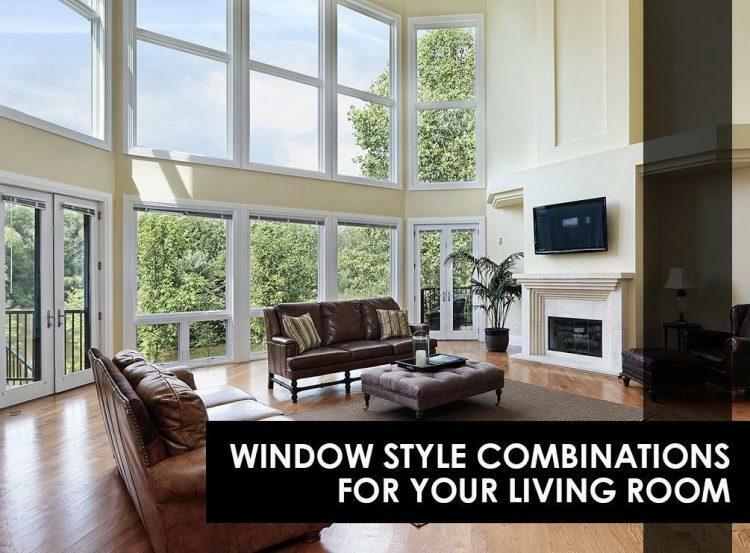 Meanwhile, double-hung windows offer classic beauty and ventilation for a comfortable living room. ClearChoice Windows and Doors, Inc can install a combination of these two windows in your living room. With it, you can enjoy the ventilation offered by double-hung windows and the excellent outdoor view of our picture windows. Aside from practical function, you can customize them with our array of window design options for added style and elegance. Similar to picture windows, the design of our bow and bay fiberglass windows allows more sunlight in any living room while providing you a sweeping landscape view. You can add function to them by incorporating our double-hung windows in one of their units. Doing so will let you control the amount of fresh air that enters your living room while letting you enjoy a broader view of your surroundings. At the same time, you can enjoy more energy savings as our fiberglass windows offer superior insulation that will boost comfort in your living area. Our Marvin windows are available in an extensive selection of unique shapes that pair well with any other Ultrex® framed windows. For instance, we can install a double-hung window, topped with an all Ultrex polygon window, high above your living room to bring more sunlight in. Not only will this serve as a remarkable decoration, but it will also grant you a great view of the outdoors without compromising your home’s privacy. Aside from these benefits, our windows come with insulating and low-maintenance features that will increase your home’s comfort levels and provide lasting performance respectively. Our Simonton windows, for example, come with weather-resistant and energy efficient materials that will keep your home cozy. Meanwhile, our energy efficient windows from Marvin feature Ultrex frames that offer durability and will not fade or corrode for long-term performance. Furthermore, our manufacturer-certified windows come with an extensive selection of colors, finishes, and other accessories, which will complement your home’s style. Count on ClearChoice Windows and Doors, Inc to provide you with efficient window solutions. We serve Fontana, Riverside, Rancho Cucamonga, and other areas in California. Call us today at 1-844-224-1112 for more information about our products.